Rochdale News, 31st January 2019. 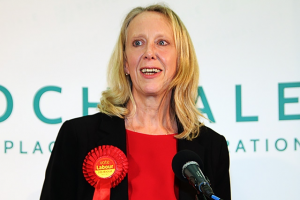 Following a debate about Myalgic Encephalomyelitis in the House of Commons, ‘more must be done to raise awareness of the illness’, Heywood and Middleton MP, Liz McInnes has said. Liz McInnes, MP for Heywood and Middleton. Source: Rochdale Online. Myalgic Encephalomyelitis, or ME, is a neurological illness that can cause immense and insufferable pain and unrelenting fatigue, affecting approximately 250,000 people in the UK. The debate about treatment for the debilitating illness follows just months after MPs first heard numerous accounts about ME, its effects on those who suffer it, and how much more needs to be done to raise recognition, diagnosis and treatment of this severe illness. Just a handful of MPs attended Thursday’s (24 January) debate, where Liz McInnes MP once again raised the heart-breaking case of her constituent, Merryn Crofts, one of only two people to have ME stated as the cause of death. Despite a long six-year battle with Very Severe ME, Merryn, from Norden, died just ten days after her 21st birthday. Last year, a coroner ruled that Merryn was the youngest person to die from the illness. 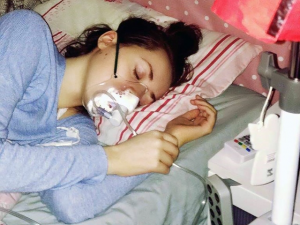 Merryn Crofts died aged just 21 after battling ME – Myalgic Encephalomyelitis. Source: Rochdale Online. One in five children with the disease are being threatened with the prospect of being forced into care, with one eight-year-old ‘Girl B’ almost being taken from her family, the House of Commons was told. Under threat of court action, the girl’s parents were then forced to take her to a children’s hospital and threatened with the prospect of their daughter being taken into foster care. It was only when the girl’s parents sought the intervention of the secretary of state, that the girl was allowed home and removed from the ‘at risk’ register. MP Carol Monaghan, who brought the motion, also called for the suspension of controversial Graded Exercise Therapy and Cognitive Behaviour Therapy as recommended treatment programmes, requesting more funding for research and better medical training to help support patients. 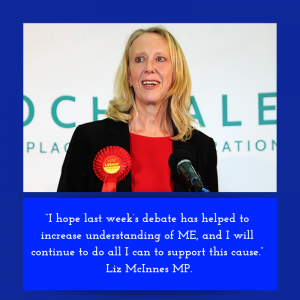 Ms McInnes said: “I was pleased to be able to take part in last week’s debate in Parliament regarding myalgic encephalomyelitis, more commonly known as ME. “ME is a serious illness with terrible impact. Merryn Crofts, who lived in Norden, is one of just two people in the UK to have ME recorded as the cause of death. “I’ve spoken with her mother, who is clear that the guidance her daughter received from health professionals was not good enough. She is adamant that if the advice had been better informed, Merryn may not have developed severe ME and would still be with us today. Clare Norton, Merryn’s mum, said: “We were pleased to see the debate on ME in parliament and we are so grateful to Carol Monaghan for continuing to fight for people with ME. “ME is not a rare disease; it affects 250,000 people in the UK, yet most people, including doctors know very little about it. A common misconception is that it is about fatigue but ME has so many other debilitating symptoms, ranging in severity. It commonly starts after some kind of virus. “Merryn was Severe from the start of her illness and progressed in the last four years to Very Severe. The suffering at this end of the spectrum has to be seen to be believed, as it is horrific. Severe ME robbed my vibrant, beautiful daughter of everything as she lost the ability to walk, then sit at even a small incline, becoming housebound then bedbound. 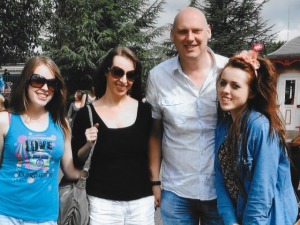 Merryn Crofts (right) with her family. Source: Rochdale Online. 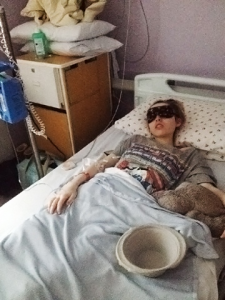 Clare continued: “Touch hypersensitivity meant my huggy girl could no longer give or receive cuddles, even the weight of a sheet could be agonising. “Then the loss of speech, swallow and intestinal failure resulting in the need to be tube fed intravenously. “So she lay in a darkened room in intolerable pain, unable to move with periodic paralysis, unable to eat, care for herself in any way or interact with others. “In the ME community, ME is referred to as a living death, Merryn’s hospice doctor said she had never witnessed such suffering. “How is it possible in this day and age that so little is known of this illness and there is such a stigma attached to it even amongst the medical community? We dreaded the collective eye roll at every hospital appointment if ME was mentioned, and comments such as, ‘there’s no such thing as ME’ or conversely, ‘she’s too ill to have ME’. She concluded: “More knowledge, education and awareness is desperately needed to stop the stigma, increase research and stop the continued suffering of thousands of people with ME. “There are major problems with medical education on ME, which is inadequate, or even non-existent, in many medical schools. Since 2012, the government has invested an average of £558,333 each year into ME research – just £2.23 per patient, per year. Despite being recognised by the World Health Organisation as a neurological disease, and a report from the Chief Medical Officer of Health calling for more research and a network of hospital-based clinics, many doctors still don’t know how to diagnose and manage ME. Lack of research means that there aren’t any effective forms of treatment, despite quality of life studies revealing the level of disability experienced with ME can be just as great as many other serious medical conditions, including cancer and multiple sclerosis. While some people with ME do improve over the course of time, it is only a small minority that return to full normal health. For more information about the recent M.E. 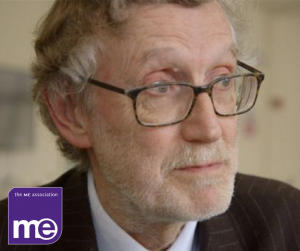 debate in the House of Commons, read the ME Association Press Release. Just a short note to thank Liz for her support,if the cause of ME is to be advanced it will need the meaningful intervention of parliament,the medical profession in this country will ‘never’ reform itself on this issue,they don’t like to admit they were so wrong for so long. Obviously our thanks must also go to Carol Monaghan MP (SNP) for forcing the debate in parliament. About 20 MPs spoke(and others attended part of the time) not bad for late Thursday afternoon,and of course ME ,like all other issues currently,has to compete with Brexit for government attention. I would finish by urging all our supporters to contact their local MP in order to make them aware of the situation (if they aren’t already) and to ask for their future support.